AstanaBuild, the largest building event in Central and Northern Kazakhstan. 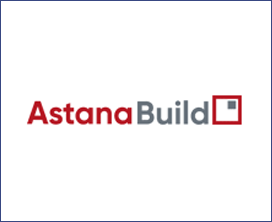 The huge interest in the exhibition is explained by the fact that AstanaBuild / WorldBuild Astana, creates business atmosphere for socializing with more than 3,500 professionals who annually attend this event. Welcome to the 19th Kazakhstan International Building & Interiors Exhibition - AstanaBuild 2018. The exhibition will be held in in Expo Centre «Korme» on 16-18 May | Address: Astana, 3, Dostyk Av.